Even though we are living in 21st century there are still certain social norms and social expectations as well as common beliefs and behaviors that are limiting us or forcing us to behave in certain way and do the things we do not wish to do or we have no interest in doing. One still very live and socially acceptable stereotype is that one where man are expected to behave like all mighty men when it comes to all the technical household chores and errands. Whether there’s an issue with power, with pipes or gas as long as you are a guy you should be on it. It is nothing different with garage doors. 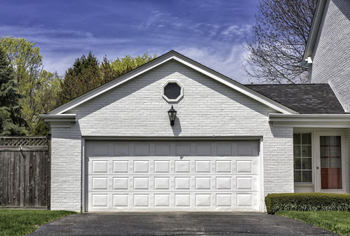 Handling garage doors includes all the chores pertaining to garage door installation, garage door replacement, garage door part replacement, garage door repair and minor garage door maintenance. There are only few basic garage door chores that one should do by himself while all the others should be addressed by professional and licensed garage door service provider. Chores that you can do on your own include regularly inspecting the state of your garage door; tightening and aligning your garage door tracks and regularly lubricating your garage door rollers to make sure garage doors would slide up and down without any problems what so ever. Another thing relevant to garage door you can do on your own is to clean your garage door track regularly since the same has a tendency to attract dirt and filth. All other garage door maintenance chores and activities should be trusted to professional garage door technicians and service providers with all the necessary knowledge as well as experience in dealing with the same situations.